Next up for Barça in what has so far been a defeat-less Liga season is the visit of Alavés to the Camp Nou. It’s an 8.45pm CET kick-off local time, and this guide should help you to work out what time the game is being shown where you are, and also what broadcasters are screening the action. If you can’t see the game for whatever reason, don’t forget we have live English language commentary on Radio Barça (the link will appear on the home page shortly before the game) and there will be regular updates on our official Twitter accounts in different languages. 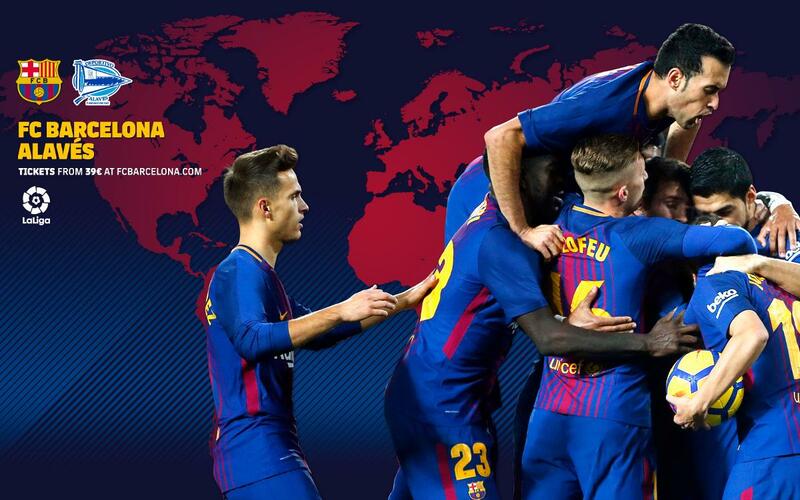 Even better, if you are lucky enough to be in Barcelona, then you can get tickets to come and see the game in the stadium!